Historic Stratford, Ontario is a must-see destination with so much to do and see. Plan your Stratford getaway with The Parlour Inn and take advantage of our fantastic packages. Just steps from the charming downtown of Stratford, The Parlour Inn offers beautiful boutique accommodations close to popular theatre destinations and attractions. Whether it be a weekend escape, romantic getaway or an evening out experiencing world-class entertainment, there's something for everyone to enjoy. Experience the very best that Stratford has to offer with The Parlour Inn. Extend Sunday & Monday Date Nights with an overnight stay at The Parlour Inn. Take your Date Night up a notch! Enjoy a romantic dinner for two from our Date Night Feature Menu, then retire to your room for a cozy overnight stay. *Plus taxes, Stratford tourism fee and gratuities. 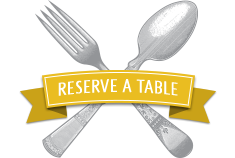 Rate above is based on room type and rate plan availability and premiums may apply as reservations are made. Excludes July 1, 2019, and August 4, 2019. Additional blackout dates apply. Feature menu is subject to seasonal changes. Rate is per night based on double occupancy. Offer is subject to change without notice. Not applicable to group bookings. Valid for new bookings only. Other restrictions may apply. Celebrate Mom with a Stratford getaway! Let Mom experience all that Stratford has to offer this Mother's Day. 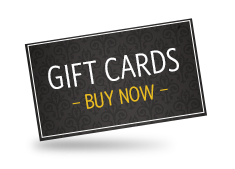 Give her the gift she deserves with an overnight stay at the historic Parlour Inn. *Plus taxes, Stratford tourism fee and gratuities. Rate above is based on room type and rate plan availability. Rate is per night based on double occupancy. Offer is for a limited time and is subject to change without notice. Not applicable to group bookings. Valid for new bookings only. Other restrictions may apply. Take time to rest and relax this spring with our Savour Spring getaway. Your Stratford escape includes overnight accommodations with a complimentary upgrade to the next room category, reflected in the rate, and a bottle of red or white wine delivered to your guestroom upon arrival. *Plus taxes, Stratford tourism fee and gratuities. Excludes April 29, May 3, May 8-9, May 15-18, May 22-23, May 28-30, June 6, June 12, and June 19-21, 2019. Additional blackout dates may be added as rooms are sold. Rate above is based on room type and rate plan availability. Rate is per room per night based on double occupancy. Not applicable to group bookings. Other restrictions may apply. Cozy up in your uniquely furnished guestroom after a fun day in historic Stratford, Ontario. In the morning, enjoy a delicious breakfast in The Parlour Steakhouse from the a la carte menu. Breakfast is served from 7:00-11:00am Monday – Friday, 8:00-11:00am Saturday and 8:00am-12:00pm Sunday. Presenting a getaway package to satisfy the most savvy food lovers! Spend a night in luxury after you delight your palate with a three-course dinner in The Parlour Steakhouse! Rekindle the romance at The Parlour Inn. Your package includes accommodation for 2 nights, breakfast for 2 each morning, and dinner for 2. The magic number is 2! Unwind in Stratford in a charming guestroom in the heart of downtown. Your overnight stay includes a bottle of wine delivered to your guestroom plus a delicious breakfast for two the next morning. 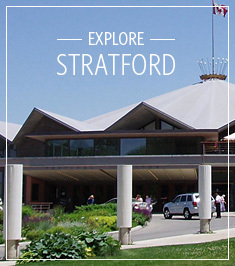 Explore the town, tour the beautiful riverside gardens, take in a play at the Stratford Festival. So much to keep you entertained in our beautiful city all summer long. Join us for 12 Days of Christmas. With warm apple cider and cookies served daily from 3-5pm in the Lobby, this is a wonderful way to get into the spirit of the season. This package includes overnight accommodations in the heart of Stratford. *Plus taxes, Stratford tourism fee and gratuities. Cannot be combined with any other offer. Excludes December 31, 2019, additional dates may be added as reservations are made. Events are subject to change. Limited time offer. Not applicable to group bookings. Valid for new bookings only. Other restrictions may apply. Other conditions and restrictions may apply. Visiting during the summer months? We are proud to partner with The Stratford Festival.